When he started revolutionary struggle to liberate his country from the Japanese military occupation (1905-1945), Kin Il Sung, founding father of socialist Korea, put forward the unique line of anti-imperialist, anti-feudal democratic revolution suitable to the specific conditions of Korea. In the years after the country’s liberation when he was leading the efforts to build a new society he adopted progressive democracy of the Korean style, which was neither Soviet style nor American style, and indicated the road the country should follow in its socialist revolution and construction, with no regard for the experiences of other countries or established formula. The line of Songun politics advanced by General Kim Jong Il who carried forward the ideas and cause of Kim Il Sung, was to all intents and purposes an independent line ensuring reliable defence of the sovereignty and dignity of the country by efforts of Koreans in today’s world, in which the moves of aggression and arbitrariness of the imperialist superpower reached the extreme. Throughout its history, the DPRK has resolutely rejected the intervention and pressure by great-power chauvinists and kept to the independent stand, insisting that there can be big and small countries but no senior and junior ones in international relations. Many socialist countries collapsed nearly at the same time after dancing to the tune of others, but socialist Korea was as strong as ever. Over the recent years the DPRK launched artificial satellites in the face of the pressure of big countries as a lawful right of a sovereign state. This fact alone demonstrated patently to the international community Korea’s strong independent stand. The DPRK has been displaying its might as it develops a self-supporting economy. From the initial period of building a new society Kim Il Sung held high the banner of self-supporting national economic construction. When the country was utterly laid waste in the wake of the Korean war (1950-1953) started by the US aggressors, he initiated the original line of economic construction of developing heavy industry on a preferential basis and light industry and agriculture in parallel. Following this line, the DPRK built powerful heavy industry with the machine-building industry as the core in a short span of time and, on that basis, it rapidly developed light industry and agriculture. As a result, it performed the historic task of industrialization only in 14 years and established a comprehensive and multi-faceted economic structure. Kim Jong Il made strenuous efforts to enable Korea’s self-supporting economy to give play to its might more powerfully by depending on cutting-edge technology. He advanced attaching importance to science and technology as the strategic line of building a thriving nation, and energetically led the nationwide drive to break through the cutting edge. He personally organized a development team of CNC machine tools and laid the solid foundations for producing high-performance CNC machine tools. Thanks to his leadership in the DPRK the machine-building industry, the basis of industries, was put on a modern footing; it built production lines of fibre and fertilizer fed by its abundant raw materials and based on the cutting-edge technology, and a new iron-making system using no coking coal and scrap iron; light-industry factories were updated; the arable land across the country was standardized into large ones, and new gravitational waterways and tidal flats were built, which opened sure prospects for bringing about a radical improvement in agricultural production. The DPRK has emerged victorious with its self-reliant defence capabilities. Kim Il Sung set the greatest store by arms from the first days of his revolutionary struggle and finally liberated the country through his successful leadership of the 15-year-long anti-Japanese armed struggle. Although he was very busy building a new Korea, he paid primary attention to building an army; he founded the regular armed forces before he established the state and laid strong foundations for defence industry. Thanks to the strong military capabilities built up by him, the DPRK, less than two years old, inflicted a disgraceful defeat on the US, for the first time in the latter’s history, in the Korean war and defended its sovereignty and dignity. After the war Kim Il Sung continued to direct great efforts to building up the defence capabilities. The military line of making the army a cadre army, modernizing the entire army, arming all the people and turning the whole country into a fortress and the line of simultaneous development of the economy and defence upbuilding, both advanced by him, contributed to increasing the might of the KPA and raising the defence capabilities of the country. The incidents of the US armed spy ship Pueblo and the US spy plane EC-121 in the 1960s and many others, all caused by the US, which led to acute confrontation between the DPRK and the US, always ended in the victory of the former. This was a brilliant fruition of the line of self-reliant defence. Towards the close of the last century Kim Jong Il’s Songun politics raised the DPRK’s defence capabilities to the highest level. After the end of the Cold War the US-led imperialists intensified aggressive moves against the DPRK. Given the situation, Kim Jong Il gave top priority to increasing the KPA’s might, political and ideological, military and technological. Through his incessant inspection of the KPA units he maximized the KPA’s combat efficiency and foiled the enemy’s aggressive attempts at each step. 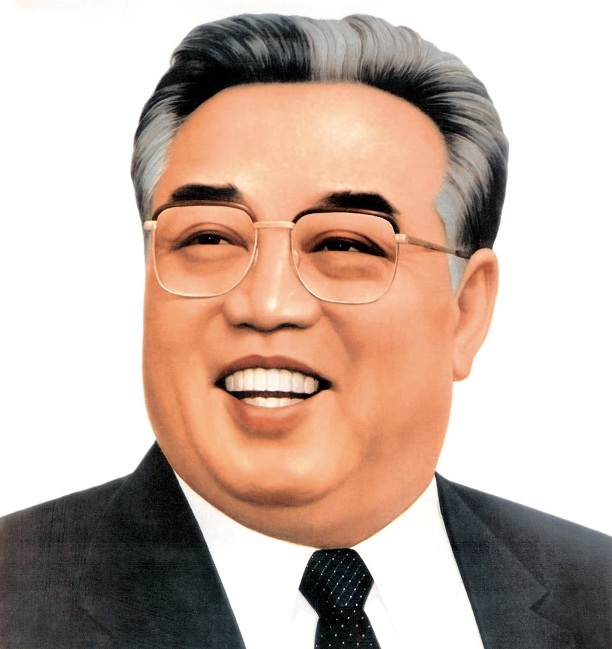 He advanced the line of economic construction in the Songun era-developing defence industry on a priority basis and light industry and agriculture in parallel. Under his Songun-based leadership the KPA developed into an invincible, powerful army, prepared for both attack and defence, and the country built up its nuclear deterrent. Today the DPRK with a glorious 60-old-year history as a country strong in independence is now led by Kim Jong Un. In his first formal speech in April he announced that the DPRK would follow as ever the road of independence, the road of Songun and the road of socialism. The DPRK will shine forever as a power of independence.